Biking along the Alleghany River Trail, I heard persistent chatter of hungry young birds. 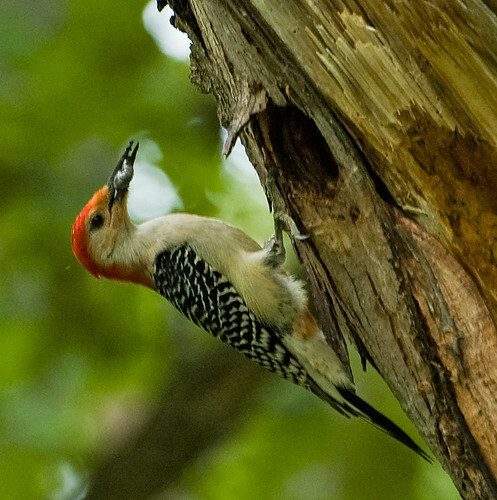 When I investigated, I found this nest cavity of a red-bellied woodpecker. Both parents were busy bringing food to the nest, though I only got pictures of the male. The female was a bit more wary, but neither seemed particularly bothered my presence and I enjoyed the constant foraging and delivery of food for over 20 minutes. The young bird popped its head out once very briefly. I only saw one young one, but there may have been more – sure seemed like a lot of noise for one baby bird. One way to tell the male from the female is that the female does not have red on its forehead. I first saw this species in Florida, and now see it regularly in WNY. I am not sure if I am just noticing them more, or if they are expanding a bit in our area. This entry was posted on 16 June 2011 by patacoate. It was filed under iPhone . The picture is not loading for me, but I am jealous. 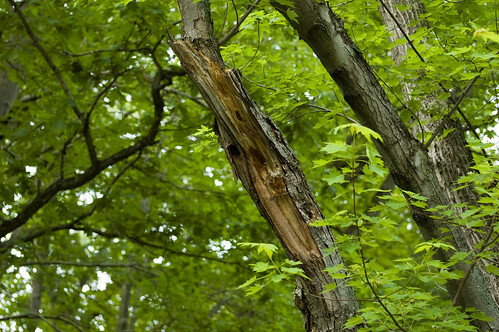 I’ve never seen baby woodpeckers. What a timely post. 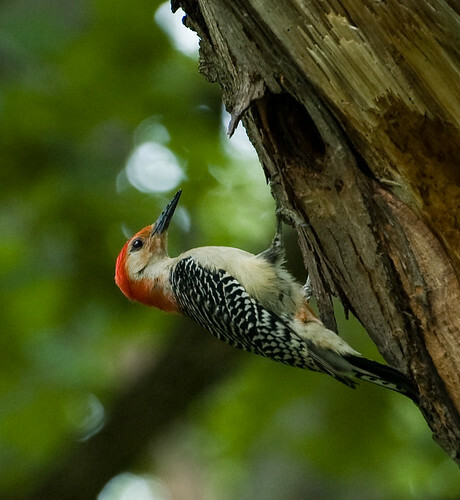 We have had a male red bellied woodpecker visiting our feeder for many years. I knew it was the same one because he had a metal leg band on one of his legs. We have watched him bring his babies to the feeders. And we enjoyed the fact that he would visit the feeders even when we sat on the deck. 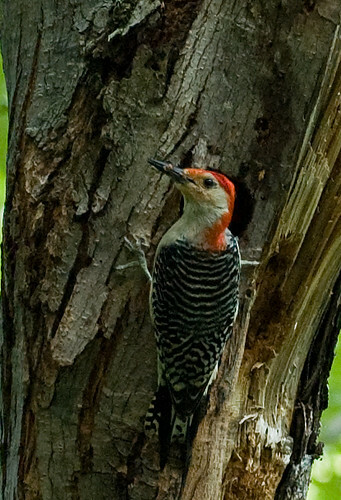 Yesterday I noticed a red bellied woodpecker clinging to the side of a tree and all fluffed up. I walked out and was sad to see that he was definitely not well. He flew away when I woke him and I spent the next couple hours hoping he would be ok. But he returned to the same spot on the tree and I later found him dead there….still clinging to the tree. I sent the bird band information in and found that he hatched in 2005, making him only 6 years old. Somehow I hoped that he would have died a happy old age. He will be missed.